Beautiful Lake Garda has been charming visitors for generations. It is home to a large selection of interesting towns and villages that dot the sandy shoreline of this long, narrow lake in northern Italy. 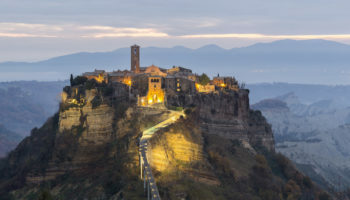 A lot of these towns have histories that date back to Roman times, with interesting and dramatic fortifications that are just begging to be explored. But for those who prefer a laid-back break, Lake Garda has everything you could need: stunning sunshine, calm beaches, and lakeside gardens. Mountains shape the landscape and create dramatic scenery, and the fertile Mediterranean farmland produces fresh food that is served in the lake’s many excellent restaurants. You can choose to spend your days on the lake, traveling from town to town on the ferries. Accommodation around the lake can be luxurious, and caters to tourists who want to stay in lavish surroundings in lakeside villas. Mid-range accommodation is also plentiful, with something to suit everyone’s tastes – as well as cheaper stays that work with tight budgets. 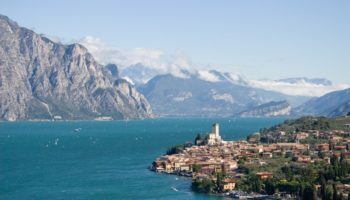 There are so many great towns to enjoy around the lake that it can be hard to figure out where to stay in Lake Garda. To help, we’ve compiled a list of the best places to stay around this famously stunning area. Well known for being a popular holiday destination on Lake Garda, Sirmione sits on a peninsula jutting out into the lake. 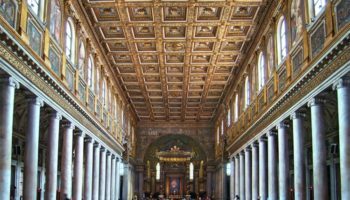 The historic town has some interesting sights, such as the ruins of a Roman villa, called the Grotte di Catullo, and a 13th century castle. Enjoy the buzz of town and grab some food from one of the many restaurants that cater to hungry travelers. If you want to head to other resorts around the lake, jump on the ferry that leaves from the center of town. Sirmione has a selection of pleasant hotels – most are clustered in the historical center, but if you want to spend time relaxing by the lake, opt to stay in a hotel along the peninsula, where rooms have views across the water. 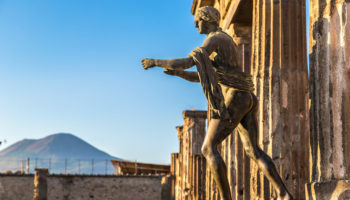 Villa Cortine Palace Hotel – An upscale hotel with a whole lot of class, the Villa Cortine Palace Hotel is set in four hectares of beautifully landscaped gardens – complete with statues and fountains – and boasts the same views once enjoyed by the Roman elite. Immaculately kept and with a fantastic concierge team, this place really will make you feel like a guest at an actual palace. The rooms are sumptuous and elegant, but with a focus on the historical architecture of the building. Dine out on the terrace and enjoy tranquil boat trips. Hotel Flaminia – Situated right on the water’s edge at Lake Garda, the views are so incredible from Hotel Flaminia that you will find it difficult to tear yourself away from them. Run by a warm and friendly family, this 4-star offering is set inside the pedestrian zone, which means being close to many restaurants and bars, making for a perfect place for an evening stroll. The rooms are understated in their décor; it’s really the view across the lake from the balcony that steals the show. Hotel Sirmione – This hotel is located just three minutes from the beach and boasts a vista that looks out across Sirmione’s old town and marina. Complete with thermal outdoor pool, you can enjoy soaking in the sun whilst taking in the panoramic views of the lake itself. Hotel Sirmione also features free wellness facilities – including a sauna – so you can really pamper yourself. The design is muted – think beige and white – and rooms feature full-length doors that open up onto cool balconies. Hotel Aurora – Located inside a recently renovated building, this hotel aims to provide relaxation and entertainment for its guests. The lakeside Hotel Aurora features its own private beach where you can enjoy breakfast. Rooms are modern, clean, and come with powerful showers. The hotel restaurant serves up a variety of food and drink – or you can take a ten-minute stroll to the old town for dinner and drinks in the evening. At the southern tip of the lake, pretty Peschiera del Garda is just a quick train journey from Verona. Encircled by a massive fortress and old city walls, this township has a unique beauty. Take a walk around the attractive harbor, where restaurants serve delicious dishes along the sparkling water’s edge. Or stroll along the network of canals that lace the city and while away sunny afternoons relaxing on the beach. There are many choices when it comes to hotels in Peschiera del Garda. The town is focused around tourism, so there’s accommodation available to fit a range of travel budgets – choose from lakefront holiday apartments, stylish hotels or even a campsite. Le Ali Del Frassino – The staff at this 4-star hotel really do go above and beyond to make sure their guests feel comfortable and welcome. They really do make all the difference, helping to elevate this place in terms of service. Le Ali Del Frassino also features an indoor pool and a huge outdoor pool, as well as a spa and wellness center, so relaxing here shouldn’t be a problem at all. Rooms are decorated with natural wood and in tones of green, helping to reflect the natural beauty of Lake Garda. Hotel San Marco – Located lakeside, the Hotel San Marco is just a short walk from Peschiera del Garda. There’s a great level of cleanliness here, just as there is a great level of service from the staff, and the breakfast served up every morning is high quality. The large bedrooms here come complete with marble bathrooms and some have sun terraces with views across the water. You’ll also find an outdoor swimming pool to enjoy in the summer months. This busy Italian community at the northern end of Lake Garda is situated at the foot of soaring mountains, and surrounded by verdant valleys and panoramic lake views. The beautiful and vibrant town of Riva del Garda slopes gently into the blue of the lake, and makes a welcoming base for your Lake Garda holiday. Enjoy relaxing days beside the shoreline, strolling along the harbor, reading in the public park, or catching some rays on the beach. There’s also some fascinating ancient history in Riva del Garda; the town features the enticing ruins of an old fortress, with winding lanes to get lost in and hidden gems to stumble upon. When it comes to hotels, Riva del Garda has a wide choice, and you can select from grand opulent hotels along the lake or more low-key lodgings that pack in a lot of character. Hotel Lido Palace – An exquisite and unique mix of old world charm and modern day chic, the Hotel Lido Palace is a place you won’t forget. High tech amenities at this 5-star hotel – including a state of the art spa – give this place an edge, aside from being a beautiful Bell Epoque era building. The restaurant is great quality too – its chef is Michelin starred. The beach is a five-minute walk away, which is perfect in summer when you want to lounge next to the lake. Du Lac Et Du Parc Grand Resort – This hotel calls itself a Grand Resort and it’s not hard to see why. Set in parkland, the outdoor swimming pool at this hotel comes complete with beautiful mountain views. The room design is understated and modern, meaning you’ll be able to really soak up the surrounding greenery through the big windows with no elaborate decor stealing the limelight. You can take out one of the bikes here and pedal around to really amongst the beauty of it all. Hotel Canarino – Set between mountain scenery and the vibrancy of Riva del Garda, this hotel is just a few minutes’ walk from Lake Garda. There’s a variety of rooms on offer here, with enough choice to suit anyone – from single travelers and couples to families. There’s a large outdoor pool, sun terrace, and a bar, so you can sip on your favorite drink whilst surrounded by beautiful views. The spa here features a hot tub, a Turkish bath, and a sauna, so you can take some time to unwind. 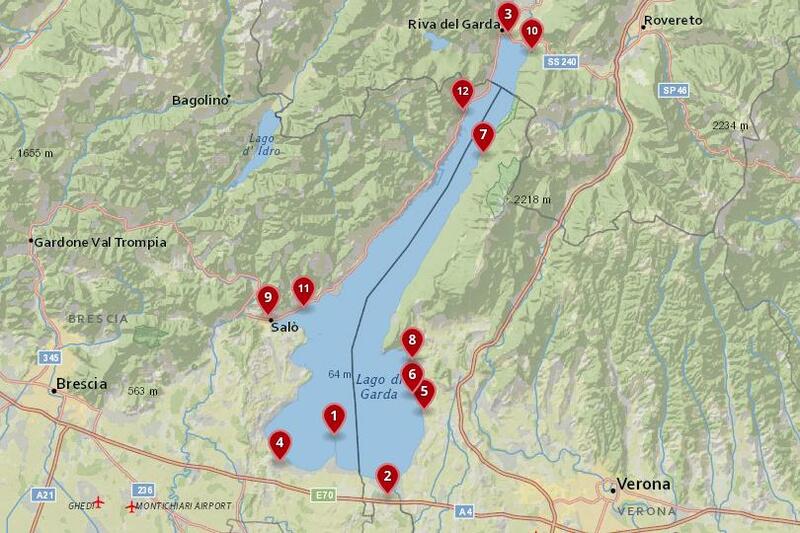 Well connected by public transport, Desenzano del Garda is great for those who are traveling to Lake Garda by train. Situated at the flatter southern end of the lake, you can catch the local ferry from here to nearby spots around the shoreline. 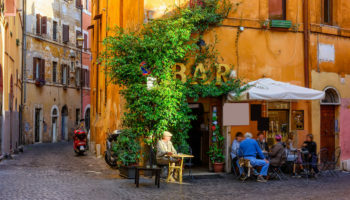 The town gets lively at the weekend, with party-going Italians descending, dressed up in their finery, to drink, dance and socialize in the bars and clubs. Staying here is fun if you want to rub shoulders with locals, and see Garda’s tourist sites. Accommodation along the lake is modern and mid-range; you could choose to stay here for a few nights when first arriving at the lake, then catch the boat to other destinations in the north. Palace Hotel – Situated along the southern shore of the lake, the restaurants and bars of Desenzano del Garda remain open throughout the year, which is great news as it’s just a short walk to here from the 4-star Palace Hotel. Amenities at this hotel include a huge outdoor pool, a saltwater pool on the rooftop, a Turkish bath and a Finnish sauna, so you’ll feel suitably relaxed before you take a meandering stroll into town for some delicious Italian cuisine. Hotel Nazionale – The informal rooms and a calm atmosphere at the Hotel Nazionale will ensure you have a peaceful stay at this Lake Garda hotel. Some rooms even have terraces where you can relax. The outdoor pool is great for unwinding, and so is the hotel bar. Conveniently close to the Desenzano del Garda-Sirmione train station, it’s under a ten-minute walk to get to the Piazza Malvezzi in the center of town. At the foot of the Morainic hills, Lazise’s medieval history seeps through the streets. Visitors are drawn to this waterside settlement to explore the six towers and walls of the Castello Scaligero. Walk around the Lazise’s captivating ancient town center, discovering its narrow pathways and picturesque plazas. Enjoy the local side of things at the weekly fresh food market and dine in Lazise’s many street side cafes and restaurants. 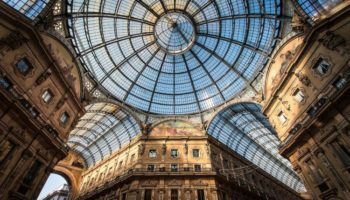 There are numerous lovely places to stay in town, and something to suit every traveler’s budget – from bed and breakfasts and campsites, to holiday motels and luxury hotels. Stay in Lazise for a slice of everything that Lake Garda has to offer. Hotel Bella Lazise – Enveloped in lush farmland and boasting a huge serving of rural charm, staying at Hotel Bella Lazise means you’ll have time to relax amidst the tranquility of nature. The family-friendly outdoor pool – complete with snack bar – makes for a great place to entertain children, plus there’s an indoor pool. Rooms have a down to earth elegance and everything is run professionally, with staff keen to help guests in whatever way they can. For a slice of history, the castle of Scaligero di Lazise is just two kilometers away. Chic and sophisticated, Bardolino is surrounded by the Morainic hills that are blanketed with olive groves and vineyards. The old town center is a labyrinth of lanes packed with shops and charming restaurants. Buy local produce as souvenirs at the town’s weekly morning market, and take part in wine-tasting along the Vine Road, where you can stop off at various wine shops. A superb base from which to explore the surrounding scenery and hike in the hills, the town has some fantastic mid-range hotels that are perfect for families and couples. Parc Hotel Germano Suites – A little bit of deluxe extravagance, this hotel offers up all-encompassing views of the lake. Here, you can stay in stylish suites or functional apartments, some of which offer kitchens and sun-drenched terraces. Some suites even boast their own private pools. All this luxury is just a few minutes from the historic center of Bardolino, but Parc Hotel Germano suites is set in a sprawling park where you can wander in peace and quiet, so you may not want to leave! Small but magnificent, Malcesine attracts families and laid-back couples to its cobbled streets. Malcesine is busy in the summer, with tourists enjoying the sun, eating ice cream, and reclining on the beach. If you want to get out and discover the surrounding landscape, take the cable-car that runs to Monte Baldo and try out a spot of cycling and hiking. The small size of the town center means that many of the hotels are located outside of the old center, where there’s a mix of mid-range and luxury lodgings with lakeside lawns. If you want to stay in town, hotel rooms are smaller and a little more basic. 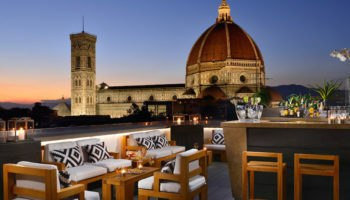 Hotel Augusta – This hotel features a terrace with views of the castle Castello Scaligero, which is just a five-minute walk away. It’s also right across from the gondola that takes you up to the Monte Baldo for even more stunning views of Lake Garda. Back at the hotel, after a stroll down the hill past shops and restaurants, you can enjoy the wellness center, indoor pool, and fitness center. Breakfast is served daily on a terrace with a backdrop of stunning lake views. Surrounded by green slopes and picturesque vistas, Garda is located in a stunning bay on the lake. 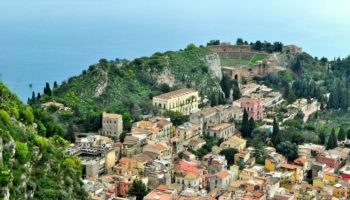 If you are traveling with children and want to spend some of your vacation in a world of fun, then Italy’s biggest theme park, Gardaland, is just a short drive away. 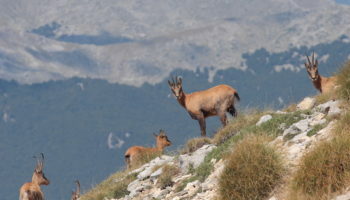 Aside from adrenaline rushes, the area is great for hiking in the mountainous landscape. Its location – in the middle of the eastern shore of the lake – means Garda is well located for quick boat rides to other lakeside towns. Stroll along the busy promenade and enjoy sundrenched meals in the lakeside eateries – perfect in summer for people-watching, sipping on local wine, and soaking up the sunset. Hotels do get busy in the summer months, but more reasonably priced rooms can be found. If you want a slice of upscale treatment, there are some beautiful hotels for you to spend time relaxing in too. Sky Pool Hotel Sole Garda – Just a two-minute walk to the shores of Lake Garda, the Sky Pool Hotel Sole is conveniently located for visiting other towns around Lake Garda, being near the main road – plus, it’s just a short walk into the town of Garda itself. The rooftop pool and bar area of this 3-star hotel is a fantastic place to unwind with views of the lake. Rooms are cheerfully colored and come complete with their own private balconies. Sitting in a small gulf on the banks of the lake, sheltered by the mountainous landscape, Salo is a stunning and chic town that is perfect for a couples holiday. The peaks of Monte San Bartolomeo tower over the town and make for an impressive setting. 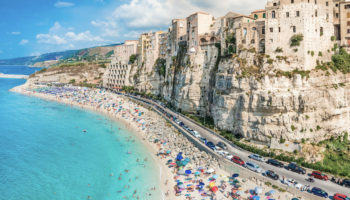 Salo seems small in comparison to its tall and rugged backdrop, and the views along the narrow streets are ideal for taking incredible holiday snaps. 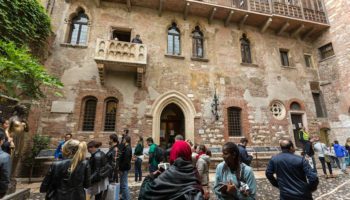 The transport links are not as good as they are at bigger tourist hubs around Lake Garda, but if you don’t mind spending some time with your other half in such a beautiful old town, this is the ideal base for your trip to the area. Salo means lazy afternoons spent sipping wine with locals in small tavernas, eating freshly caught fish from the lake. Stay in chic lakeside villas or traditional buildings with swimming pools, tucked away in landscaped gardens, in Salo’s many picture-perfect mid-range and luxury stays. Hotel Spiaggia d’Oro – This laid-back lakeside hotel sits within beautifully landscaped gardens and is just under three kilometers from Vittoriale Digli Italiani hillside estate – an exquisite sight. The subtly sophisticated rooms at Hotel Spiaggia d’Oro feature traditional decor, large, comfortable beds, and big bathrooms. There are two outdoor pools for guests to enjoy (one is for children), plus a terrace restaurant that serves up local and international dishes. This 4-star hotel is located on the beach, making it effortlessly easy to access. Nago-Torbole is divided into three villages that are located on the shore of the lake: Nago, Torbole, and Tempesta. These villages offer fantastic views across the breathtaking lake, and panoramic vistas of the mountainous backdrop. Really a perfect place for families to spend their holiday, the area is well known for watersports, hiking among the olive groves, and splashing in the waters of the beaches to cool off. Stay in one of the resort hotels edging the lake, that have beautiful gardens and pools. There are a selection of rooms for families, groups and couples at mid-range prices. Luxury lodges can be found in this pretty area, and hotels provide all of the outstanding luxury that complements the astonishing surroundings of the lake. Caravel Bike Hotel – A bike-themed hotel for keen cyclists, this unfussy offering is five minutes’ walk from the lake and not far from Riva del Garda or La Rocca di Riva – a medieval fortress; both of which can be cycled to, being only four kilometers away. It’s an ideal spot for cycling and hiking and you can start your active day off with a complimentary buffet breakfast. There’s also an outdoor pool area to unwind in with great views of the lake – great after a hard day of pedaling around the hilly landscape. The tiny town of Gardone Riviera sees its fair share of visitors and is a terrific spot from which to travel around the lake. Located midway up the western shore, it’s a shorter boat trip to the old settlements around Lake Garda. Relaxing and carefree, Gardone is packed with small boutiques, a selection of hotels and eating options. The friendly town has something for everyone packed into its tiny streets. Spend mornings on the lake, afternoons at the pavement cafes, and evenings sleeping in one of the comfortable, well priced hotels in the town. Boats leave from the central pier and there is a bus service from here to the airport at nearby Brescia. Steeped in Italian decadence, Limone sul Garda lies in the stupendously mountainous north of the lake. Divinely lush and incredibly beautiful, the town’s name means ‘lemon,’ as the area was known for its lemon groves. 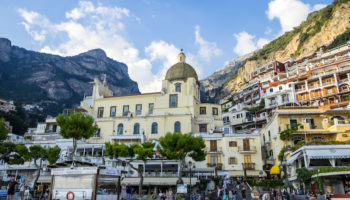 Choosing to stay in Limone sul Garda will really add a touch of Hollywood glamour to your Italian lakeside holiday – car chase scenes from the James Bond flick Quantum of Solace were filmed in the town. Narrow lanes with shops, and restaurants serving visitors to the old town, open out onto the shore of the lake. Waterfront terraces welcome passersby to indulge in Mediterranean dishes and while away afternoons sunbathing. Stay in 5-star luxury hotels nested among olive and lemon groves, where swimming pools almost disappear into the lake and life is good. Park Hotel Imperial – Chic and boasting classically decorated rooms with a modern twist, it’s a mere five-minute walk to the beach and 15 minutes to the historic center of Limone sul Garda. There’s a wellness center at this luxurious offering, as well as a fitness center, and the onsite restaurant serves up delicious Italian specialties. Offering top class service, everything at this hotel is high quality – from the fixtures and fittings to the varied selection of breakfast foods. On Friday nights, there’s even live music here. Hotel Capo Reamol – A large hotel with a distinctive pink facade, Hotel Capo Reamol is set amongst cypress and olive trees and is a haven for windsurfing on Lake Garda. Rooms at this 4-star resort are modern and decorated in a low-key style. The view of the lake steals the show here, as the hotel itself is a nestled on the slopes of a mountainside and also comes with the benefit of its very own private beach.